Small nylon bushing for use in some Gottlieb games. Measures approx. 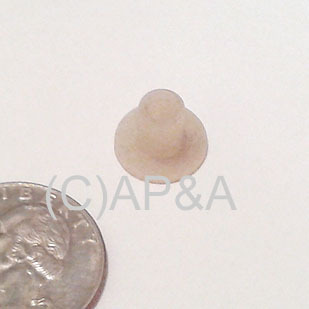 1/2-inch diameter, 1/2-inch height, 3/16-inch inner diameter.